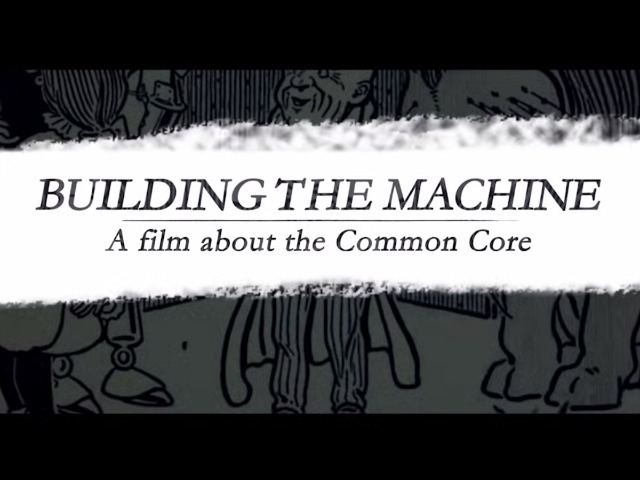 A leaked email from the deputy executive director of the Council of Chief State School Officers (CCSSO), one of the nonprofits that developed and owns the copyrights to the Common Core standards, indicates the group is mobilizing Common Core supporters in the face of the release of a documentary film from the Home School Legal Defense Association (HSLDA) on Monday. The U.S. Chamber of Commerce and Fordham have put together the attached two documents that can be used to clarify the vast amount of misinformation that will be circulated as a result of the movie. Please note – these are EMBARGOED until Monday, March 31st. Please do not distribute. In addition to these two documents, the U.S. Chamber is in the final stages of producing their own Common Core mini-documentary. This will provide the pro-Common Core side and will also be ready early next week. In collaboration with organizations from all over the country, the video will feature education reformers, teachers, chamber leaders, and business representatives, showing the unified support for Common Core across generations, political lines, and states. Please don’t hesitate to reach out to me if you have any specific questions or needs. Below we’ve include some tips for messaging and responding to the critical questions this film may generate in your state. We will send out the Chamber video when it is released. “The presentation from the pro-Common Core groups is that we’ve produced a hit piece on Common Core, when what we’ve done is presented those who are for the standards and those who are against it,” Reid said. Reid pointed to the fact that Michael Petrilli, the executive director of the pro-Common Core Thomas B. Fordham Institute, appears in the documentary explaining the benefits of the standards. Reid said HSLDA also asked David Coleman, considered to be the “architect” of the Common Core standards and currently the College Board president; Jason Zimba and Susan Pimentel, writers of the standards themselves; the president of the National Education Association (NEA); and other Common Core advocates to be in the documentary. “We asked 18 pro-Common Core experts to be in the film, but only two of them said they would be willing,” Reid told Breitbart News. Reid said, however, that this “tactic” was not uncommon. The pro-Common Core people claim the deck is stacked against them, when the truth is that they don’t respond to invitations to panels or other forums about the standards. Reid observed, as Fox News has as well, that the Common Core standards have emerged as a major election issue this year, and one that is truly coming from American grassroots groups that are battling establishment politicians from both sides of the political aisle. It seems the US Chamber of Commerce has decided they have to do something more than provide the same old weak talking points that mean nothing to parents whose children have suddenly been diagnosed with learning disorders (formerly known as normal developmental progress), laziness or undue influence of angry white suburban moms. They have put together a movie to tell all of us how wrong we are and how clear their crystal ball is.